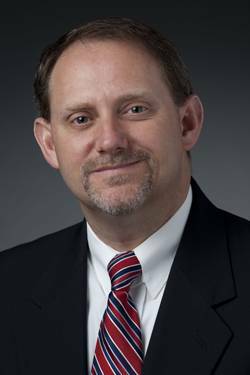 Huntington Ingalls Industries said that Peter Diakun, vice president and chief technology officer of its Newport News Shipbuilding (NNS) division, has been appointed to vice president of energy programs. Energy (NNE), all HII subsidiaries. Diakun has a bachelor's degree in electrical engineering from Virginia Polytechnic Institute and State University and a MBA from Rensselaer Polytechnic Institute. "Pete's experience and leadership will be of great benefit to the company and to our energy programs as we continue growth efforts in this area," said NNS President Matt Mulherin. Diakun will assume his new position following the retirement of Doug Stitzel on June 30. With a career of 46 years at the shipyard, Stitzel has held leadership roles in the Department of Energy program division, supply chain management, engineering, and operations. "For the past 46 years, Doug has proudly served Newport News," Mulherin said. "Throughout his career he has shown great leadership and responsibility, and we appreciate all his hard work and dedication. Doug will retire after years of gaining experience and leading others to help improve our business as a whole."